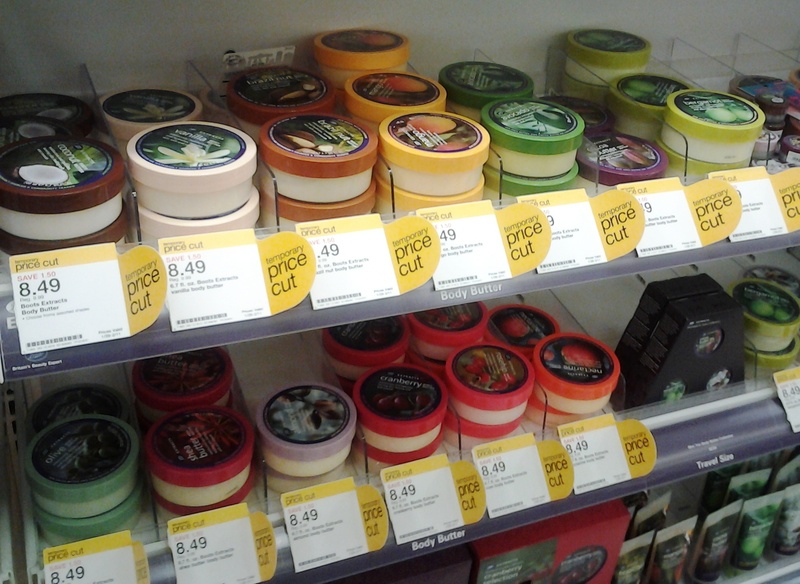 BOOTS Extracts Body Butter comes in 13 varieties: coconut, vanilla, brazil nut, mango, avocado, cocoa butter, bergamot, olive, shea butter, almond, cranberry, rosehip & nectarine. At $8.49 (for a 6.7 oz tub), I was thinking this might be a good alternative for those moments when Ross/ TJ Maxx/ Marshall’s is out of your fave TBS Body Butter. Check it out on Target.com Have you ever tried this brand? What did you think? I’m going to check this out. Thanks for the tip. I’m going to try this out!! I haven’t tried TBS yet either. I’ve only tried Bath & Body Works when it was on sale, lol…Thanks for the tip! 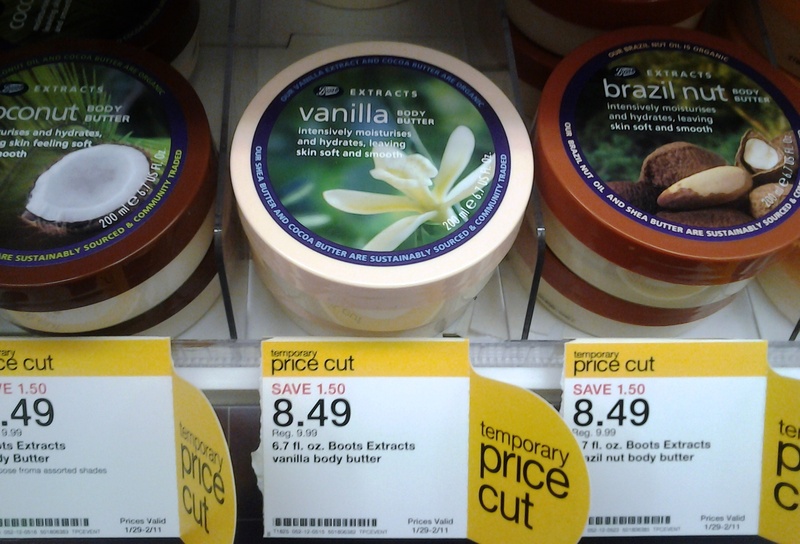 I’ve tried it….it smells wonderful, but to me all body butter works the same, so if u can get it for cheaper its a steal! I still have a lot of TBS Love, Etc. left, but when I run out I plan to give this brand a try.